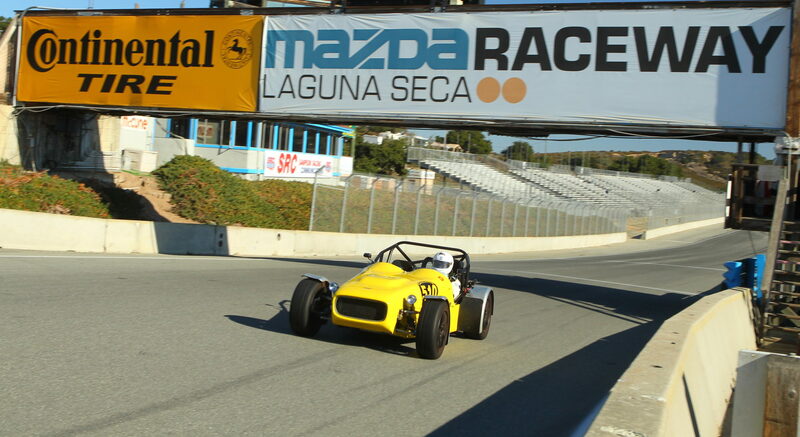 Announcing registration for Round #6 of the 2013 GGLC Autocross Series on Sept 22, 2013 at the Marina Airport. Registration opens today at 6 pm PDT for GGLC members. Non-Members will be able to register after Sept 7th. Registration is limited. There will be 3 run groups. Entrants are required to work. Lunch is included with registration. $60 for GGLC members, $70 for non-members. Registration will close on Sept 19. In the event of a sell-out a wait list will be started. For details visit the GGLC Autocross web page. To register go to MotorSportReg. Please be sure to print, sign and bring a signed waiver for the City of Marina. This is a Sunday event. Traffic returning to the Bay Area may be heavy. We suggest you visit the alternative route from the Marina Airport to Hwy 101 North. You can find details on the GGLC AutoX web page. Now, the time has come for you to get an extraordinary deal on a new Lotus Evora or Evora S. If you are currently the owner of a registered Lotus road car, simply visit your nearest Lotus dealer, negotiate your best deal on a new Evora AND then receive an additional $5,000 rebate from Lotus Cars USA as our “thank you” for being one of the Lotus faithful! This offer is good on your retail purchase of any new and untitled 2012 or 2013 Evora or Evora S and you must take delivery no later than Monday, September 30, 2013. You must be the owner of a currently registered Lotus road car to qualify for this offer. CONTACT YOUR NEAREST LOTUS DEALER TO CONFIRM THAT YOU QUALIFY FOR THIS LOTUS OWNER LOYALTY REBATE OFFER. An overnight event in the Sierra foothills! We will start with an open house at Dave Bean Engineering in San Andreas on Saturday morning. Then it’s off to lunch the Pickle Patch deli. After lunch we find some scenic and “Lotus” back roads to Sutter Creek for a stop and then on to the historical and picturesqe town of Volcano. Once these rooms are booked you will need to stay in Sutter Creek, about 30 minute drive. In Sutter Creek you can find the Days Inn (800) 225-3297 or the American Exchange Hotel (209) 267-0242. You don’t have to do both days. You can join the tour on either Saturday or just Sunday. If you want to do only Saturday, just meet the group at Dave Bean Engineering in San Andreas and then depart after arriving in Volcano. Those joining the event on Sunday may meet overnighters for breakfast in Volcano on Sunday morning. After breakfast and some sightseeing in Volcano we’ll drive on some lightly traveled and scenic roads between Volcano and Somerset/Fair Play. In Somerset/Fair Play the group will visit one or two wineries with lunch at one of the wineries. Somerset/Fair Play/Plymouth is roughly an hour’s drive from Sacramento or about a three hour drive for those returning to the Bay area. The event is designed so you can participate in both days or either Saturday or Sunday. RSVP is needed in all cases. 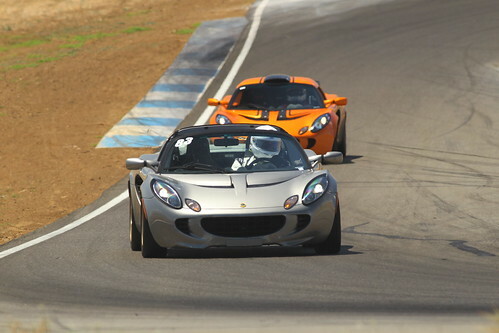 Registration is now open for the Golden Gate Lotus Club Thunderhill Track Day on September 12th, 2013 in Willows, California. This event will be run BACKWARDS (clockwise direction), with the Cyclone. Please note that this is currently our last scheduled track day for the year. We will be running our regular Thunderhill format which allows you to bridge run groups. There will be three run groups but you will sign up for either Novice/Intermediate or Intermediate/Advanced. We will be offering early bird pricing for this event at $135 for GGLC members, and $155 for non-members. This price will increase to $155 for members and $175 for non-memberes after August 23rd, so sign up early! Additional drivers sharing a car are $50. You can become a GGLC member for $25. We will accept 3-4 beginners at this event. Please send us an email at events@gglotus.org if you are interested and we will let you know the details of that arrangement. Click here to sign up via MotorsportReg.com to sign up. 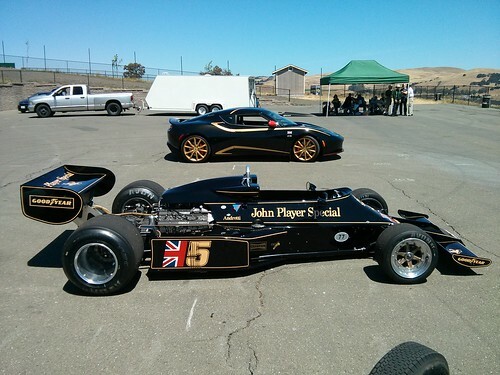 Be advised that Thunderhill Raceway enforces a 104dB sound limit. Please read your confirmation email as it has been expanded to include the general schedule and other important information. See you at the track.